The man felt that this verse is proof that The Book of Mormon and its followers are racist against people with black skin. One of the missionaries told the man that he was taking the verse out of context and reiterated that the Church is not racist, that their message, Christ’s message, is one of love for all people, regardless of race. 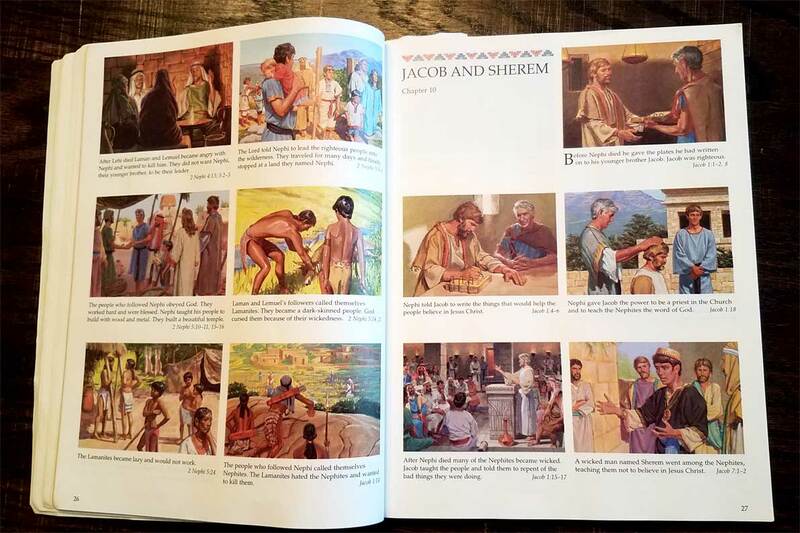 It was clear, however, that the young missionaries did not know how to respond to the particulars of race and skin color in The Book of Mormon. Of course, this is not an easy topic to discuss, and I think this would have been a difficult situation even for the most prepared missionary. 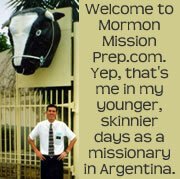 The story made me realize that this is a topic many missionaries may face and one that certainly should be discussed on a mission preparation website so missionaries can be as prepared as possible to respond. When you do all within your power to have the companionship of the Holy Spirit, you will be in the best position to respond to this question about The Book of Mormon, and all other questions you’ll need to respond to on your mission. But beyond having done your spiritual preparation, I recommend that you study the issue of race in The Book of Mormon specifically in order to be able to speak intelligently on the subject, should it come up. One of the primary drivers of how you will respond to an accusation of racism in The Book of Mormon could hinge on whether you interpret the dark or black skin of the Lamanites as literal or figurative, physical or spiritual. Is the Lamanite Dark / Black Skin Literal or Figurative? A large number, perhaps the majority, of Latter-day Saints take the black or dark skin of the Lamanites mentioned in The Book of Mormon to be literally the physical skin pigmentation. It should be noted, however, that there is a growing body of Saints, myself included, who feel the dark or black skin is a spiritual metaphor not to be taken literally. The purpose of this article isn’t to convince you one way or the other regarding that topic, but in responding to the question of racism in The Book of Mormon, it is important to know that those two perspectives present two alternative ways of addressing the issue. If you want more detail on why I think the Lamanite dark or black skin is figurative and spiritual, then read this article on my personal website. Many Church leaders and manuals teach that the dark skin of the Lamanites was the sign of the curse and not the curse itself. The following quote is from Joseph Fielding Smith, 10th President of The Church of Jesus Christ of Latter-day Saints from 1970 to 1972. It is quoted in the Book of Mormon Student Manual for Institute. After establishing that the changed skin color is not the curse, the Institute Manual chapter goes on to explain what the curse is–being “cut off from the presence of the Lord” (2 Nephi 5:20). The curse is caused, according to verse 21, “because of their iniquity” and “hardened … hearts.” Throughout the history of the earth, the wicked choices of men and women has always resulted in this curse of being cut off from the presence of the God. Ahmad Corbitt was serving as president of the Dominican Republic Santo Domingo East Mission of The Church of Jesus Christ of Latter-day Saints a few years ago when he wrote an article titled Revelations in the Summer of 1978 — A Personal Essay on Race and the Priesthood. Brother Corbitt appears to take the skin color references about the Lamanites literal in his four part essay and points out that The Book of Mormon contains an excellent example of a biracial nation living together in harmony. Throughout The Book of Mormon, converted Nephites referred to Lamanites as their “brethren,” and converted Lamanites used the same term when they spoke of the Nephites. See, for example, Jacob 2:35; Jarom 1:2; Mosiah 22:3; Helaman 15:1, 3–4. “And it came to pass that there was no contention in the land, because of the love of God which did dwell in the hearts of the people. And there were no envyings, nor strifes, nor tumults, nor whoredoms, nor lyings, nor murders, nor any manner of lasciviousness; and surely there could not be a happier people among all the people who had been created by the hand of God. There were no robbers, nor murderers, neither were there Lamanites, nor any manner of -ites; but they were in one, the children of Christ, and heirs to the kingdom of God. And how blessed were they!” 4 Nephi 1:15–18. Mormon said on the title page that the book was written and compiled for “the convincing of the Jew and Gentile that Jesus is the Christ, the Eternal God, manifesting himself unto all nations.” The reference to “Jew and Gentile” encompasses the entire world, including all races and ethnic groups. For those of you who interpret the dark skin of the Lamanites to be literal, these quotes by President Smith and Brother Corbitt make excellent responses to the accusation of racism in The Book of Mormon and clearly show that that is not the case. For those who believe that the references to dark or black skin are figurative, the response to the accusation of racism in The Book of Mormon is simpler in some ways and more difficult in other ways. Simply put, it’s not racism because The Book of Mormon is not talking about literal skin pigmentation but rather it is speaking of spiritual darkness. This explanation, however, can be a difficult thing for many people to accept. As far as I can tell, The Church of Jesus Christ of Latter-day Saints has no official position on whether or not the dark skin of the Lamanites is to be understood as literal or if it is a spiritual metaphor. 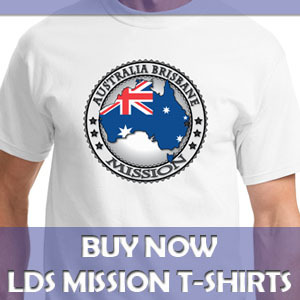 I have searched LDS.org long and hard and there is almost no discussion of the subject. In fact, all I could find on LDS.org on this topic is one web page, the lesson in Institute manual with the quote from President Smith as referenced above, and even that doesn’t come out and state a position. Rather it appears to be simply going on the assumption that the dark skin is literal. Again, my purpose here isn’t to convince anyone one way or the other about the literalness or figurativeness of dark skin. I think both are valid points of view. And if the Church ever publishes an official interpretation, I’ll be happy to get behind it. Until then, given that the figurative interpretation is more rare, I do want to provide a couple of pieces of evidence so people don’t think I’ve gone rogue. If you go look at the scriptures, in the Bible and The Book of Mormon, at the use of the adjectives dark, black, and white and the noun skin, you will see that a vast majority of the time when these words are used in reference to people, they are metaphorical and spiritual in nature. Black means gloomy, dark, impure, and hidden. See Lamentations 4:8, 5:10, Job 30:30, Jeremiah 8:21, Nahum 2:10, and Joel 2:6. Dark means filthy, wicked, impure, and the absence of light. See Matt 6:23, 1 John 1:5, 1 Nephi 12:23, 2 Nephi 30:6, Jacob 3:9, Mosiah 27:29, Alma 19:6 “the dark veil of unbelief”, Alma 26:3 “the Lamanites were in darkness”, and Mormon 5:15. White means clean, pure, true, and righteous. See 1 Ne 13:15, 2 Nephi 30:6 (the word “pure” was “white”prior to 1981, see footnote b), Jacob 3:8, 3 Nephi 19:25 (“white as the countenance … of Jesus”), and Mormon 9:6. Skin means the outward appearance and countenance. See Job 30:30, Lamentations 5:10, Jacob 3:8, Alma 3:6, and 3 Nephi 2:15. For more detail on the meaning of these words in the scriptures, may I point you to an excellent video by Marvin Perkins. Brother Perkins’ video, titled Skin Color & Curses, outlines his research and explains that “the words black and white do not refer to literal skin color in the scriptures.” He points out that “every scripture in The Book of Mormon that made you believe that the Lamanites had a darker skin than the Nephites, every last one of them, have a new footnote on it” in the post 1981 edition of the scriptures leading readers to the Topical Guide entry on Spiritual Darkness. For those hesitant to accept that the word “skin” is being used as a metaphor, may I draw your attention to metaphor often used in the scriptures that references another part of the body–the heart. A quick search on the scriptures section of LDS.org shows 1,475 occurrences of the word “heart” in the scriptures. The vast majority of those instances are clearly metaphorical and not a literal reference to the bodily organ that physical pumps blood. In the scriptures, the “heart” is a reference to our inner most feelings–our metaphorical core–just like skin is a scriptural metaphor for our outward appearance. Both, of course, are metaphors we still use in society today. Hopefully, the material in the article will help you better understand the issue of race in The Book of Mormon and thus equip you to better respond if the topic comes up on your mission. My purpose here isn’t to tell you how to respond so much as it is to prepare you with knowledge and the perspective of prominent authors. Most importantly, as I stated in the beginning, my purpose is to encourage you to avoid contentious arguments, testify of the truths you know, and let the Holy Spirit guide all that you say and do as a missionary. Good luck, and God bless.